What’s an island getaway without some beautiful beaches?! If you’re planning your perfect Caribbean vacation, you’ll definitely want to add these 16 best beaches to your “must visit” list! 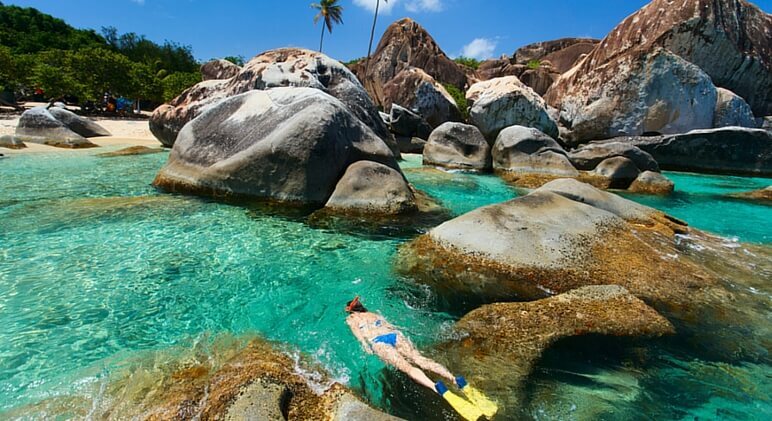 The Baths is a unique national park on the island of Virgin Gorda. The Baths features white sandy beaches and giant granite boulders. Some of these boulders are so large they are 40 feet wide. Geologists believe that these rock formations are the result of volcanoes. If you plan a trip to The Baths, make sure to bring your water shoes and snorkeling gear! 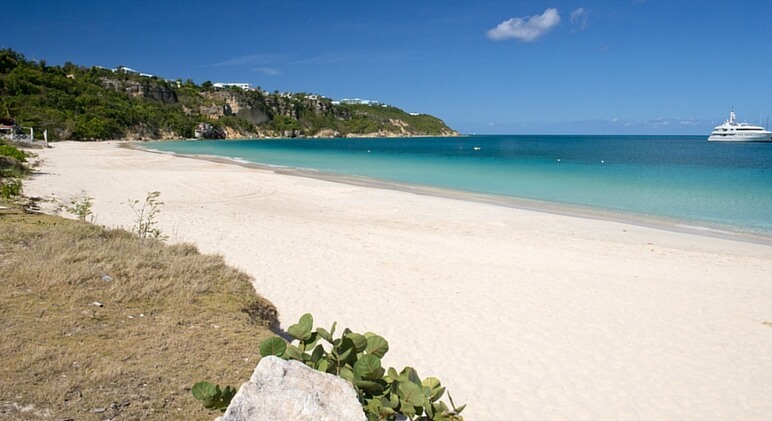 White Bay features long stretches of white sand, beautiful water, and award-winning beach bars. 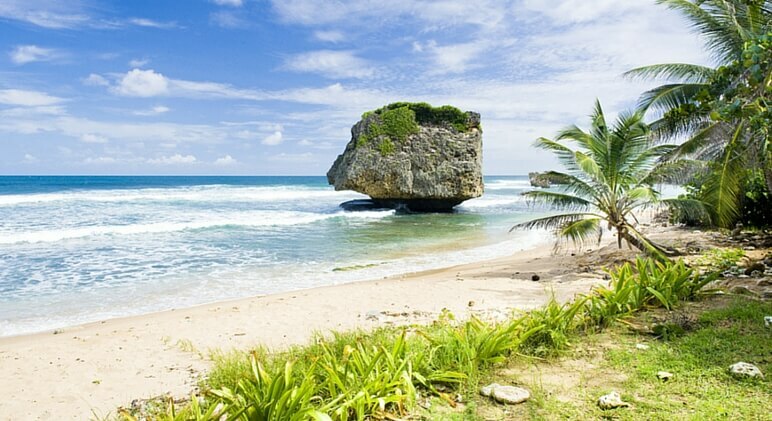 Along with the beautiful beaches, Bathsheba is known for this iconic rock. At first glance, it looks like huge boulders washed up on the beach. 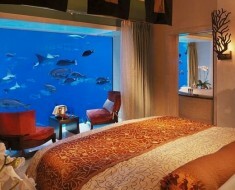 However, it’s actually rock formations broken away from ancient coral reef! 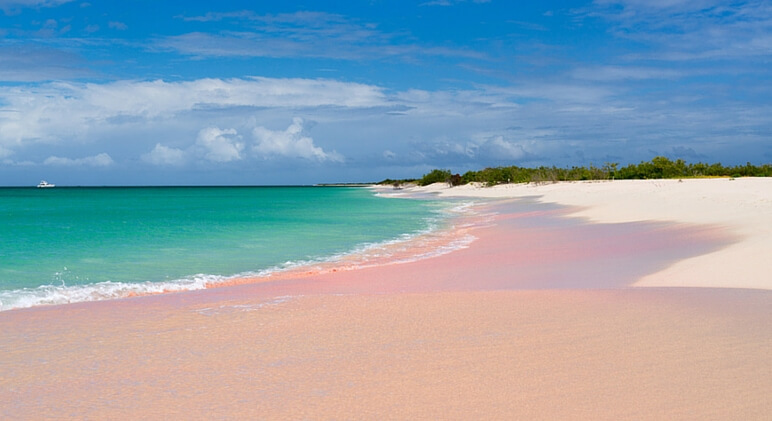 Just like it sounds, this beach is famous for it’s breathtaking pink sands. 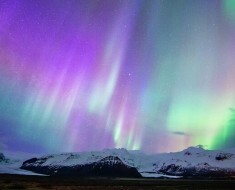 The hues are said to be even more vibrant in person. Located on the tiny island of Mayreau, this beach is often called a secret treasure of peace and tranquility. 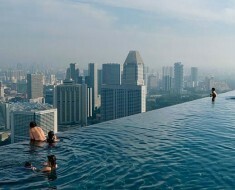 There’s no airstrip, so you’ll have to take a boat to get here. Once you arrive, you’ll never want to leave. 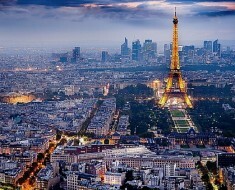 This is the world’s best beach according to TripAdvisor. With its clear blue waters and vast white sands, Grace Bay in the Turks and Caicos Islands won the title of Traveler’s Choice Awards for beaches. 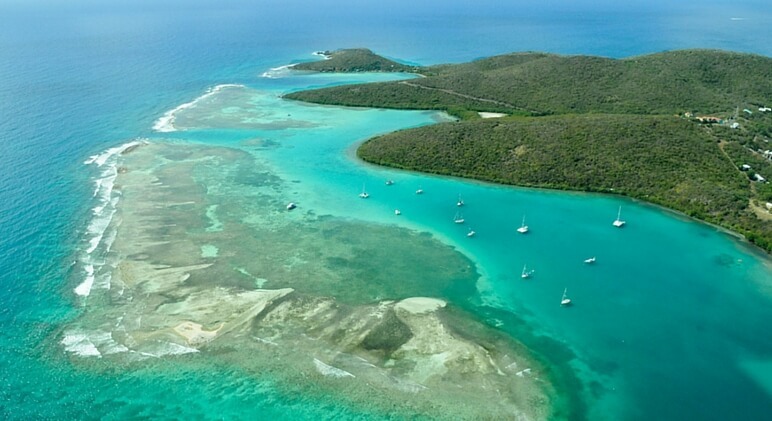 A short ferry ride from Puerto Rico’s mainland will end you here, at Playa Zoni, Culebra. This tiny and relaxing island has miles of shoreline and is home to gorgeous sea life. Between the fish and the coral formations, Playa Zon is a great snorkeling spot! Little Bay is the ideal hiking spot. 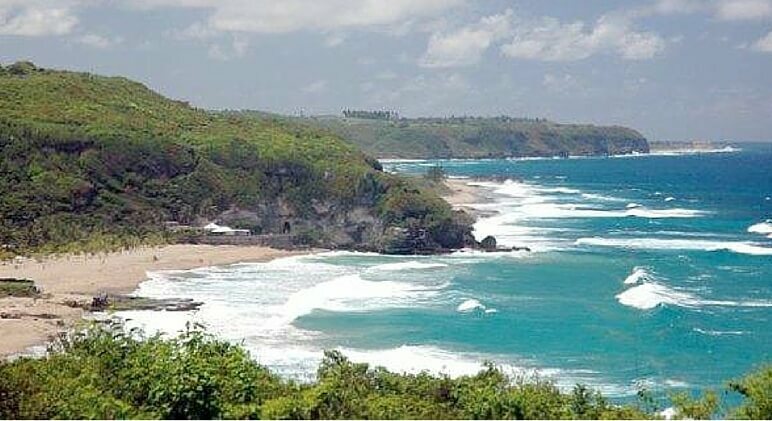 There are easy hiking trails and gorgeous cliff views of the ocean! This is another spot that you’ll want to take your snorkeling gear to. Your feet are in for a real treat because the sand on Low Bay beach in Barbuda is so silky and soft, it’s like nothing you’ve ever felt before. 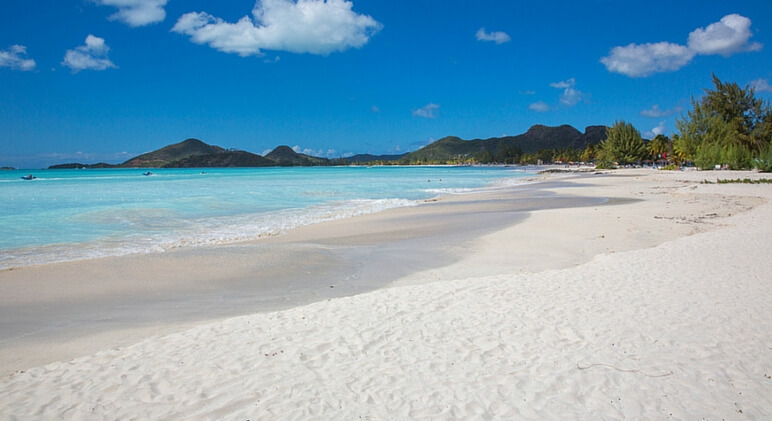 In fact, Barbuda’s sand is so nice that it’s scooped up by the ton and used to soften beaches all over the Caribbean and as far north as Louisiana. 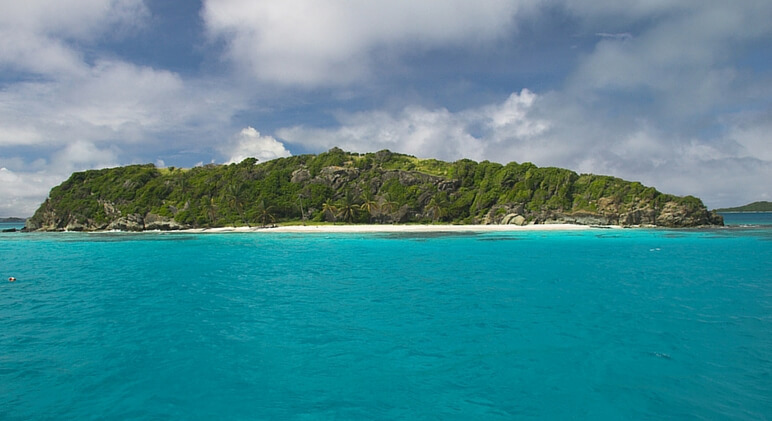 Along with great sand, the area is also great for snorkelers. 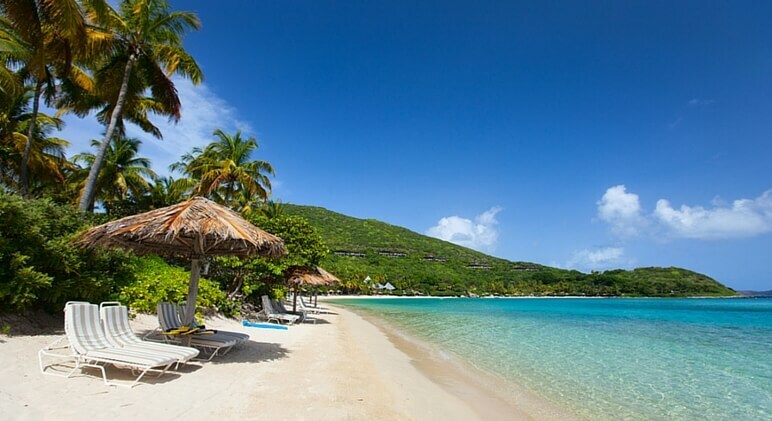 It doesn’t get more secluded than Anse La Roche. 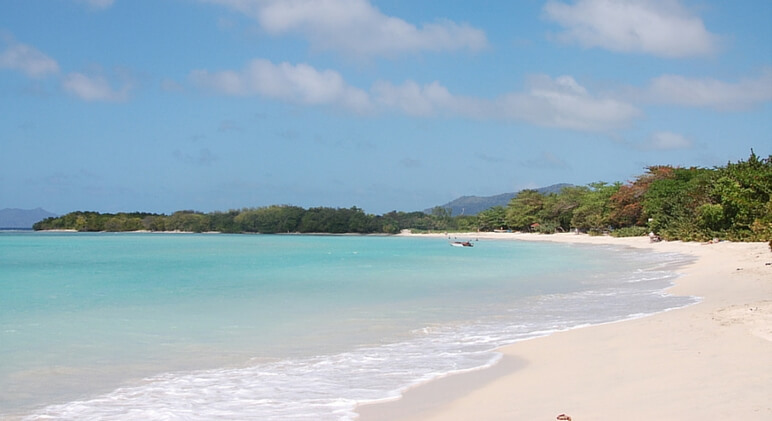 This beach is located on the least traveled end of Carriacou. Since the island only has one gas station, you can imagine how isolated this beach really is! 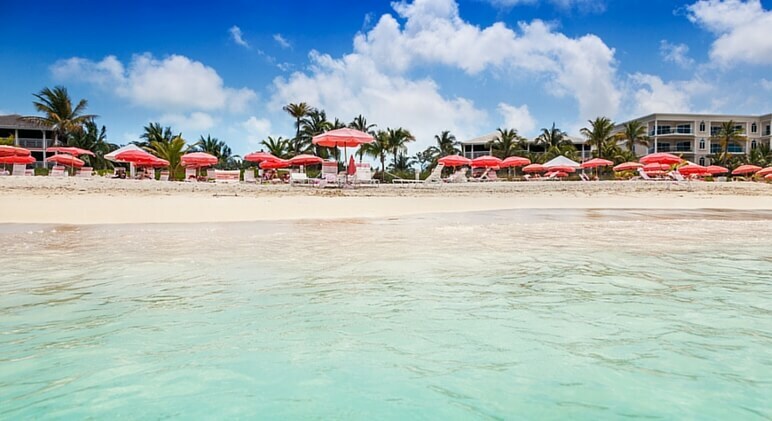 It takes a 5-minute boat ride to access this active beach located on St Maarten island. 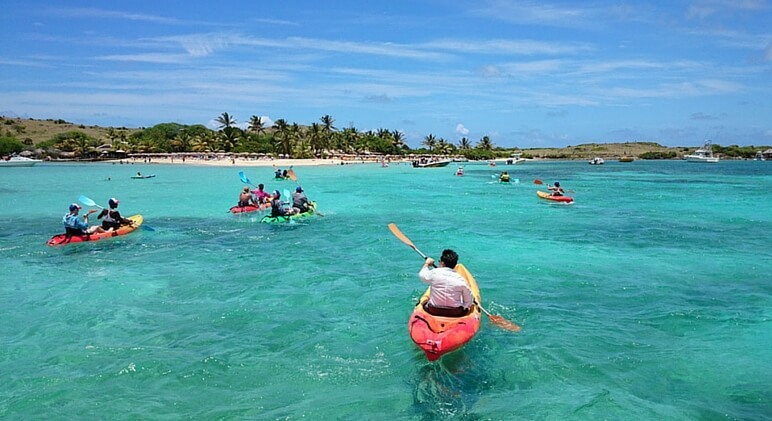 With plenty of activities, it’s a great place to snorkel, paddle boat, and kayak. There’s a little something for everyone at Exumas, Bahamas. Divided into three main areas, you will find Great Exuma, Little Exuma and The Exuma Cays. If you’re looking for a laid-back atmosphere, you will want to visit Great Exuma and Little Exuma. The Exuma Cays, on the other hand, are filled with luxury resorts, beachside condos and all things rich! 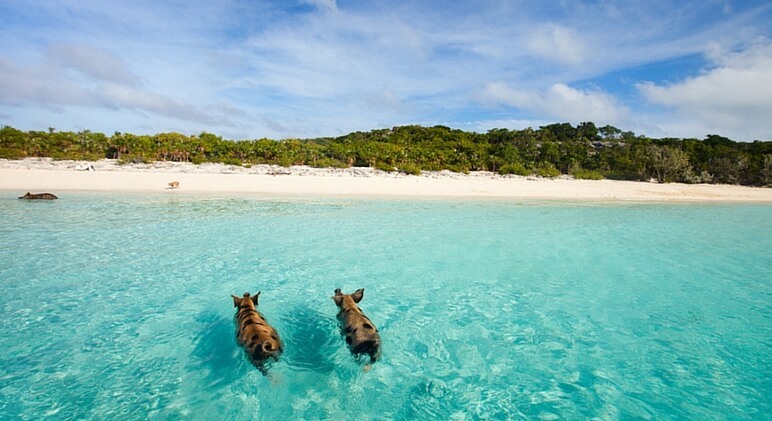 Did I mention, from time-to-time, pigs swim out from the cays? 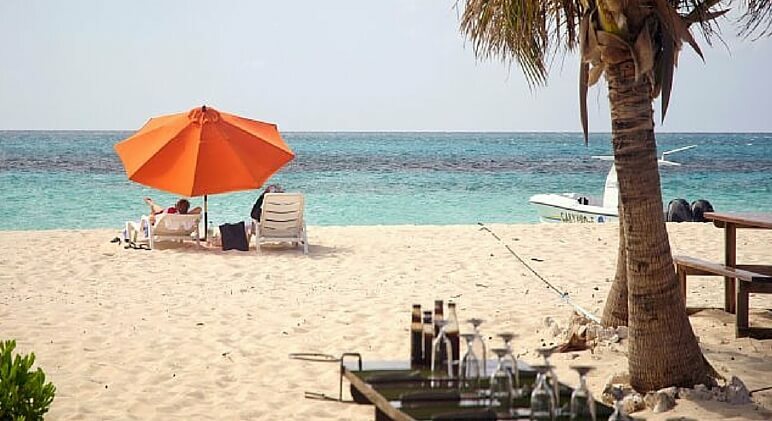 A remote island with turquoise water, great drinks, and its own sit-down, grill restaurant … it doesn’t get much more relaxing that Sandy Island. Located in the northwest corner of Puerto Rico, it’s easy to sum up Isabela in just four words: Sunshine, surfing, fresh food! The dramatic views of rocks and the ocean will make you fall in love with the area. 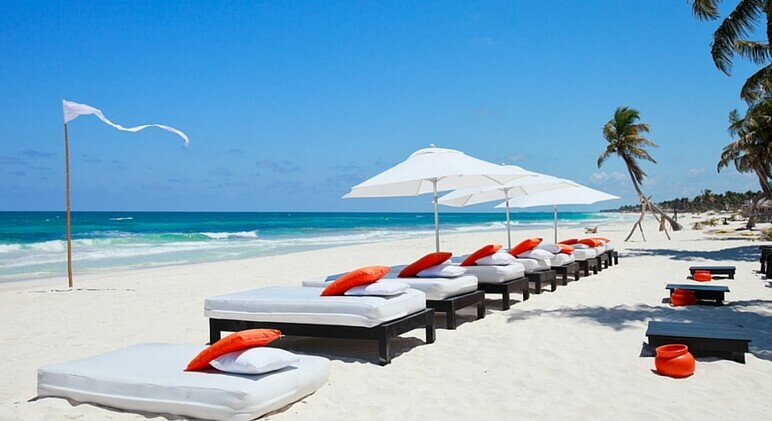 Tulum is about 80 miles south of Cancun and has a much more relaxed feel. With beautiful beaches, luxurious resorts, historic sights, and great nightlife, we wrote an entire article on why you should visit Tulum. 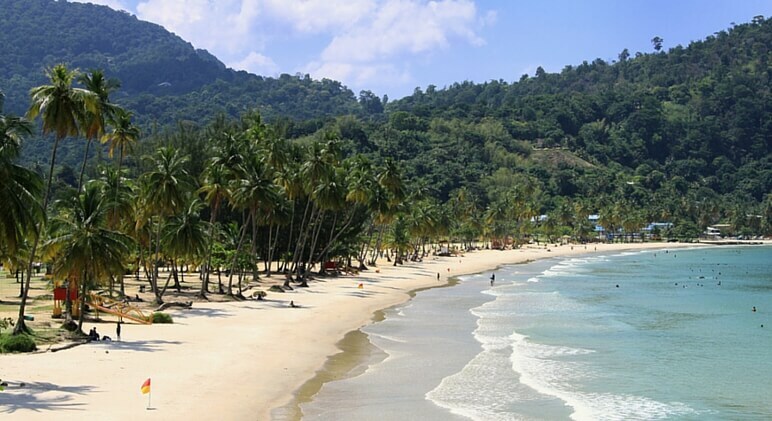 It doesn’t get much prettier than Maracas, Trinidad. 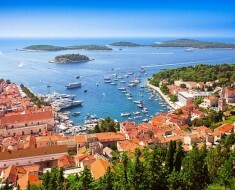 Mist-covered mountains are the backdrop for tall palm trees, golden sand, and clear water.